In Liberia there is a rubber plantation with 8,500 employees on 185 square miles of land. It is owned by, Japanese tire maker, Bridgestone. 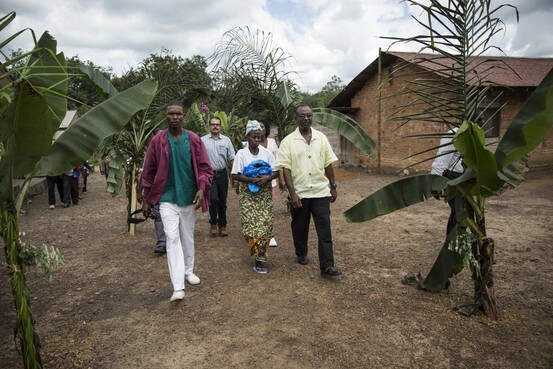 Surrounded by Ebola infection, this farm and its 71,500 inhabitants are entirely Ebola free. The difference, private vs public. The rest of the area depends on the government for health care. Bridgestone can’t turn a profit if their workers are sick or dead. Just think how much healthier we would be without Medicare, Medicaid or the ultimate doomsday machine, the Affordable Care Act (Obamacare, for you talk radio listeners). One morning in March, when the first case arrived at the Liberian unit of Japan’sBridgestone Corp. 5108.TO -1.27% , managers sat around a rubber-tree table and googled “Ebola,” said Ed Garcia, president of Firestone Natural Rubber Company LLC. Then they built two Ebola isolation clinics, using shipping containers and plastic wrap. They trained their janitors how to bury Ebola corpses. Their agricultural surveyors mapped the virus as it spread house to house, and teachers at the company’s schools went door-to-door to explain the disease. Ebola’s broader threat was illustrated on Monday, when a Spanish medical worker tested positive for Ebola after treating an Africa-based missionary who had been infected with the virus and flown to Madrid, officials said. It was the first suspected transmission outside West Africa. The virus could flare again at Firestone. But as of last week, not a single known infection was left among the company’s 8,500 employees and their 71,500 dependents. The company’s Ebola clinic, which boasts amenities such as ceiling fans, was empty last Wednesday. The head doctor, Lyndon Mabande, expressed relief that his staff didn’t risk being infected by a mistaken needle prick. An hour’s drive from here, in Monrovia, Liberia’s capital, clinics are packed, and scores are dying daily. The difference isn’t that Firestone applied any breakthrough tactics in fighting a virus first identified four decades ago, health experts and company officials said. It is that the rubber company had the money, manpower, and organization to tackle an epidemic that several sovereign West African governments found bewildering. More than 3,400 people have died in West Africa, according to the latest figures from the World Health Organization. Many times that number have died at home, infecting their families without entering a clinic, the U.S. Centers for Disease Control and Prevention said. Every hour, five people in Sierra Leone are infected, said British charity Save The Children last week. While the viral infection has exposed how weak health care in West Africa is, it has also revealed a widening gulf between the facilities of these governments and the resource companies on which they depend. A 14-year-long war left both this nation and the Firestone rubber farm in ruins. A decade later, it is Firestone that has rebuilt. The contagion has escalated beyond what West African governments can manage. Troops and medics from the U.S. and U.K.—even tiny Cuba—have arrived to help build and staff clinics. The Ebola epidemic is edging toward the borders of Mali, Guinea-Bissau and Ivory Coast, said health experts, another trio of countries recovering from civil wars. Ebola is now in every county of Liberia. It is also just across the river from the Firestone farm, as the company’s president illustrated by dragging a laser pointer along a map. “There are villages here that are getting wiped out,” Mr. Garcia said. As Spain reports the first case of ebola contracted outside of West Africa, how can the disease be stopped from spreading? UPMC infectious disease expert Dr. Amesh Adalja joins the News Hub. Photo: Getty. Nearly a century ago, at the dawn of the automobile age, Liberia staked its future on rubber. The men who governed this land, descendants of freed American slaves, took out huge debts to Firestone. Here in Africa, they hoped to erect a modern, industrial republic, modeled off America. Instead, Liberia fell into insolvency, then, in 1989, a civil war. It ended 14 years later with 250,000 lives lost. A third of the population fled, according to the United Nations, and those who returned found a country plundered. Many bombed-out government buildings were left roofless. The Ebola ‘war room’ at the Firestone rubber farm in Liberia, where executives strategized to fight the epidemic on the property. “We made everything from a U.S. model,” said Mr. Garcia, driving his pickup truck past a pink brick courthouse the company built. 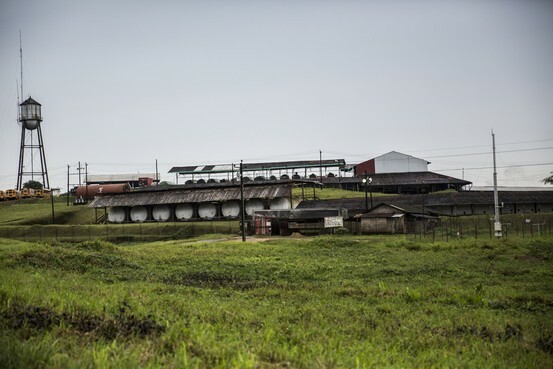 Outside this farm, Liberia has hardly rebuilt. 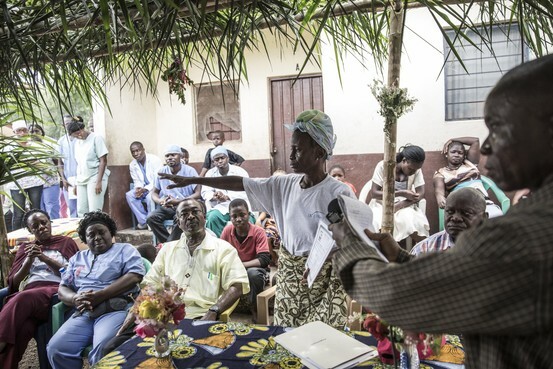 Before Ebola struck, this country had the second-lowest ratio of doctors to people on earth, according to the WHO. Today, there are probably more Liberian doctors in the U.S. than in Liberia, said Lewis Brown, the country’s information minister. The physicians who stay start from $1,000 a month at government hospitals and lack the most basic supplies, such as rubber gloves. These shortcomings offered a fertile environment for an epidemic. On Sunday, March 23, Guinea confirmed the first case of Ebola in the region, just across the border from Liberia. A week later, on a Sunday night, a call came in for the top doctor at the Firestone hospital: An Ebola patient had escaped from a clinic in northern Liberia to the house of her husband, an employee living on the farm. “You got trouble on you!” Dr. Mabande recalls a Liberian health official shouting into the phone. By Monday afternoon, the company’s managers had designed a basic clinic, and raided the company warehouse to confirm that the suits used to clean up rubber-related chemical spills would work as Ebola-resistant medical garb, too. By Tuesday, they had admitted their first patient. She died while her husband and children were held under isolation in employee housing. As Liberian senators argued about whether Ebola was a scam to solicit more foreign aid, Firestone quietly built its own corporate health infrastructure. It converted pickup trucks to ambulances. Firestone’s company police, normally tasked with chasing rubber thieves, were given orders to enforce a “No Visitors” policy. 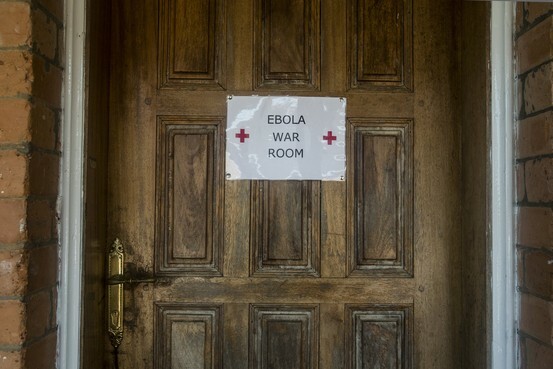 The heads of payroll, maintenance and special projects created an Ebola war room, where they field calls from nervous workers living in the forest. The in-house radio station broadcasts interviews with survivors, who entertain their fellow employees with stories of their ordeals. Liberians just outside the farm have watched all this in frustration. Marcus Speare ’s funeral home buried 104 people in August, most of them probable or confirmed cases of Ebola, and many of them friends of his. None of them ever secured a bed at Firestone. Firestone’s medical staff said they simply can’t extend themselves beyond the farm without putting themselves at risk. They have turned ambulances away. Yet as caseloads rise, the company is reconsidering. A family of 16 recently showed up at the company’s hospital, all of them admitted or quarantined, Dr. Mabande recalled. Fritz – You refer to Bridgestone Tire Company in your intro preamble comment. The body of the article only talks about Firestone Tire Company. For those who might have noticed this, Bridgestone Corporation purchased Firestone in 1988 for $2.6 billion, transforming the companies’ combined operations into the world’s largest tire and rubber company. The operations in the Americas were renamed Bridgestone/Firestone, Inc. (BFS) and became the largest subsidiary of Bridgestone. Headquarters are now in Nashville, TN. Just an FYI. Thanks Fred. I should never assume anything. There’s a B/F plant in Des Moines. Fritz – Though you would appreciate this. Also, good point made in the last paragraph by Kevin D. Williamson. The critical difference here is that Firestone, unlike, say, the makers of ZMapp, didn’t really have to beg the U.S. federal government’s permission to take such measures as it saw were needed. Maybe one day we’ll get around to figuring out that government’s job is to help enable capital and creativity to do their thing, rather than to inhibit them.